Explore the secret wizarding world of New York, seventy years before Harry Potter started at Hogwarts. 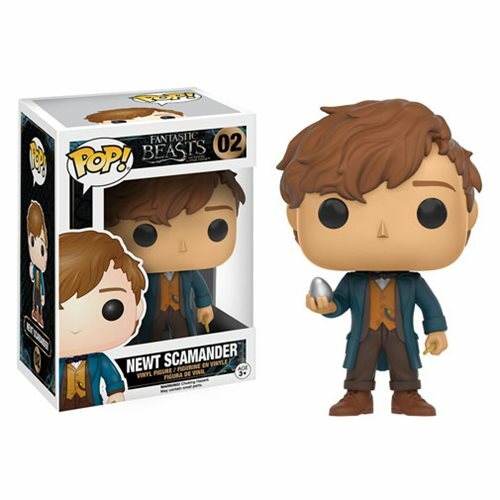 From Fantastic Beasts and Where to Find Them, Newt Scamander has undergone the Pop! Vinyl stylization. This Fantastic Beasts and Where to Find Them Newt Scamander with Egg Pop! Vinyl Figure comes packaged in a window display box and measures approximately 3 3/4-inches tall. Ages 3 and up.